As a private party you are free to charter the yacht of your choice for any agreed period of time and you may also determine the route. We can recommend the best of the time you have available. It is up to you how you discover the wonders of blue voyage. 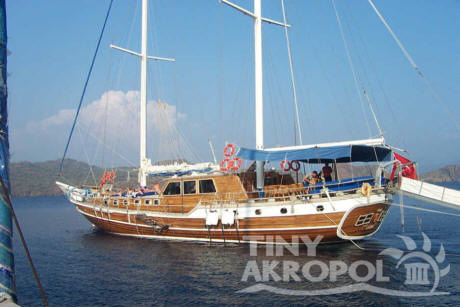 You can start with the Göcek Island and bays in Fethiye Gulf on Marmaris route and visit the Tersane Island (Dockyard Island), Bedri Rahmi Bay (Lycian Bay), Manastir Bay (Cleopatra's Baths), Göbün Bay, Merdivenli Bay, At Bükü, Yassica Islands, Göcek, and Ag Limani, reaching Dalyan, Ekincik and Iztuzu, the beach of Caretta Turtles. Or you can sail towards Antalya, visiting Gemiler Island, beautiful Ölüdeniz, Patara, Kalkan, Kas and the Sunken City Kekova. We provide only the basics of your voyage's programme and you'll be free to settle details together with the Captain during the cruise. He will be happy to comply with your wishes weather permitting. Food on board can be supplied full board with an extra charge. 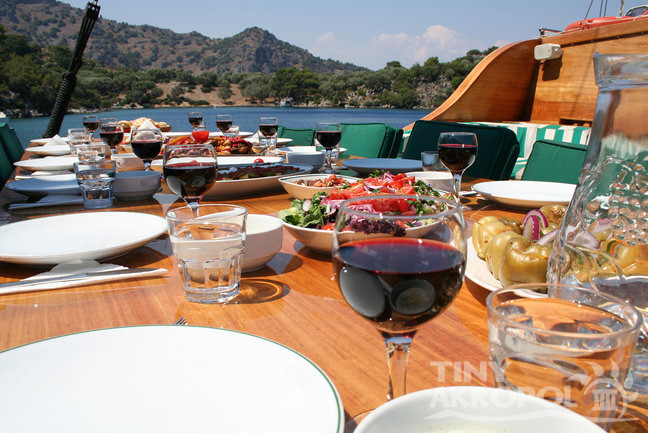 Private Charter guests are also welcome to provide and cook their own food if they so wish and then all you need to do is drift along from day to day permitting the yacht to take the strain and enjoy the cruise in complete relaxation. It all adds up to the Perfect and Special 'Blue Voyage' for you !! !